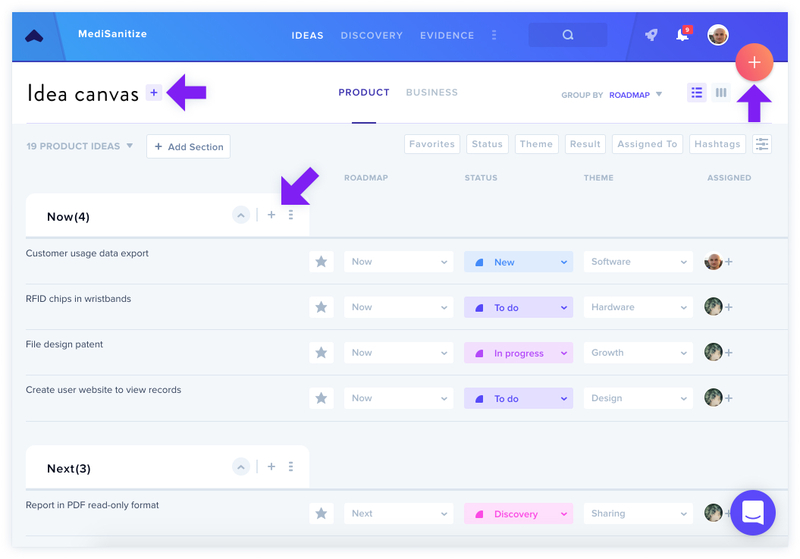 As an Enterprise user, you can create multiple Projects, allowing you to keep track of your whole portfolio in one place. 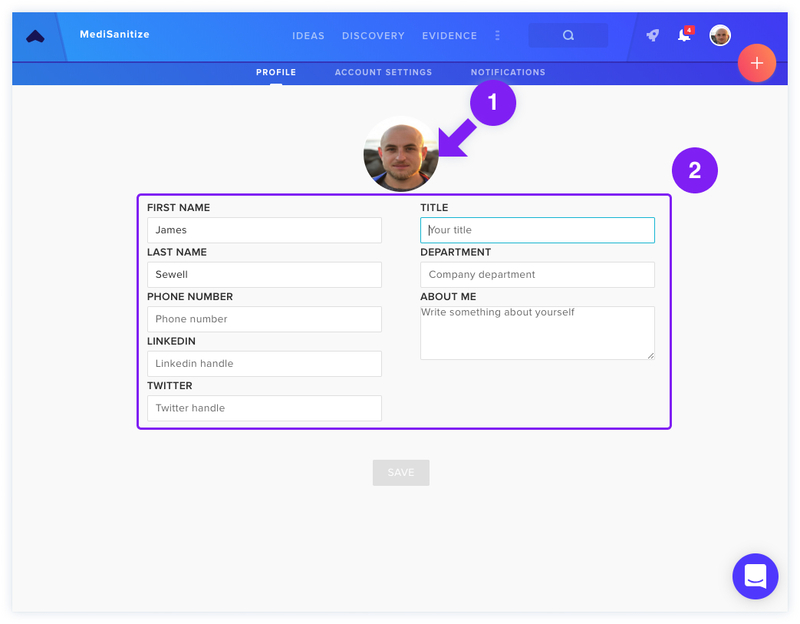 After filling out your Project name and Project details, you can invite more Team members if you wish, but you can also add them at any point in the future. 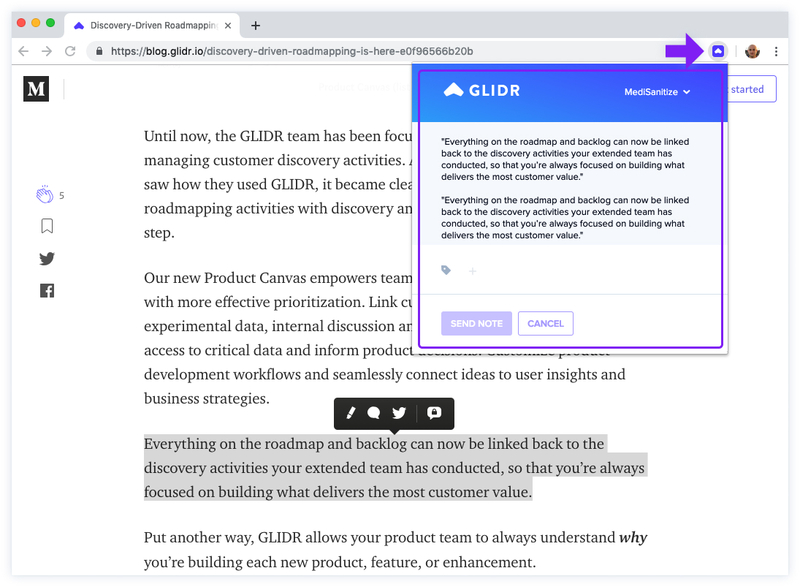 GLIDR offers a Business Canvas and Product Canvas, allowing you to distinguish the ideas that are directly related to your market vs. related to your product. 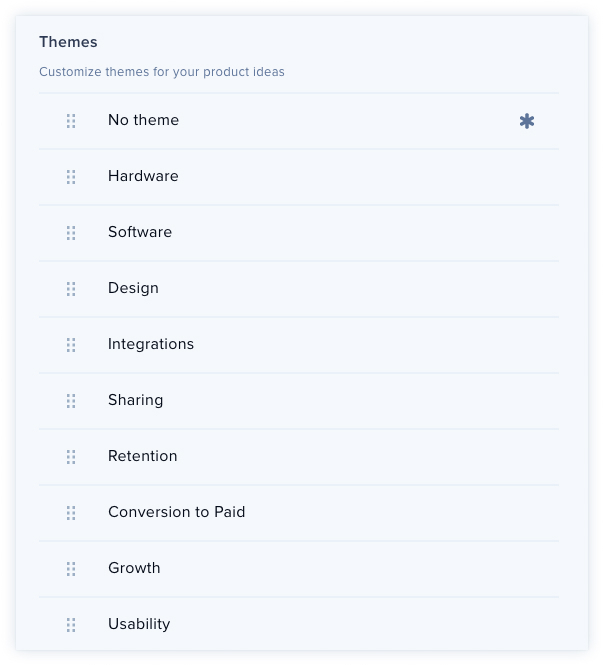 To add or edit your categories, navigate to Project Settings, then Product Ideas or Business Ideas. 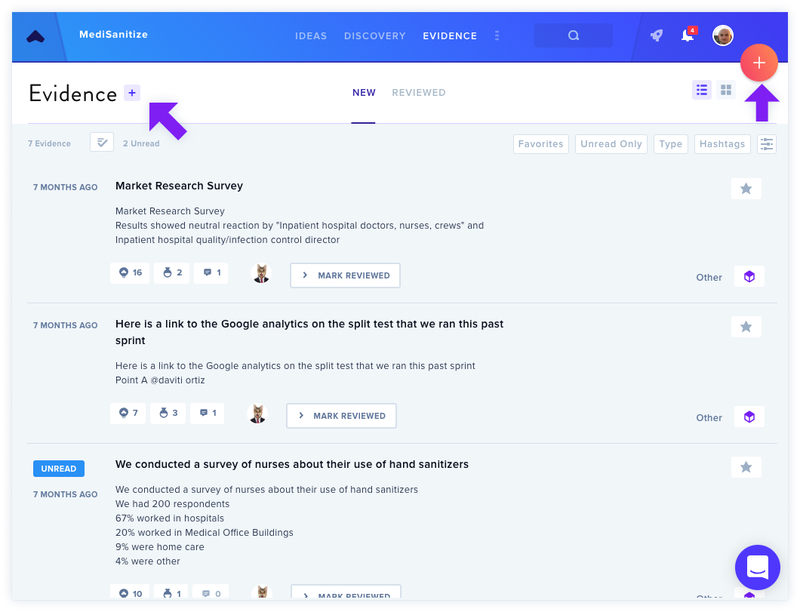 Here, you'll be able to add, edit or delete categories. 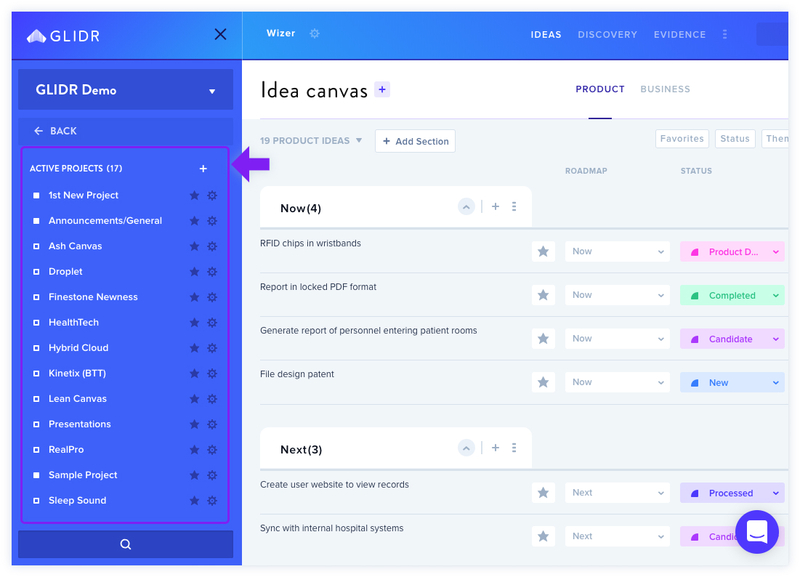 You can also edit Canvas sections in Kanban View. 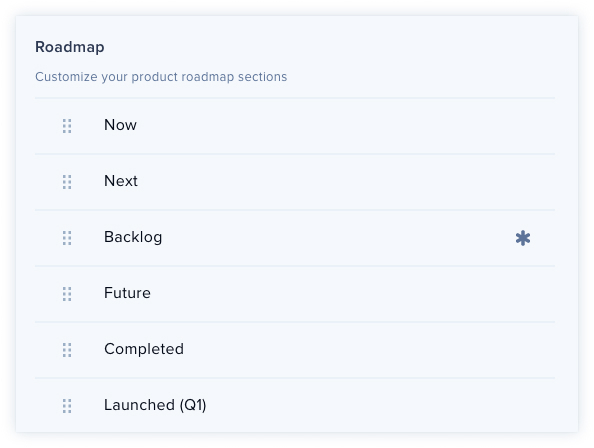 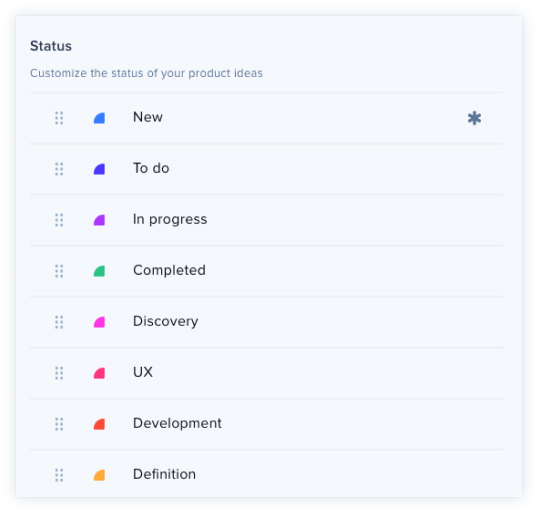 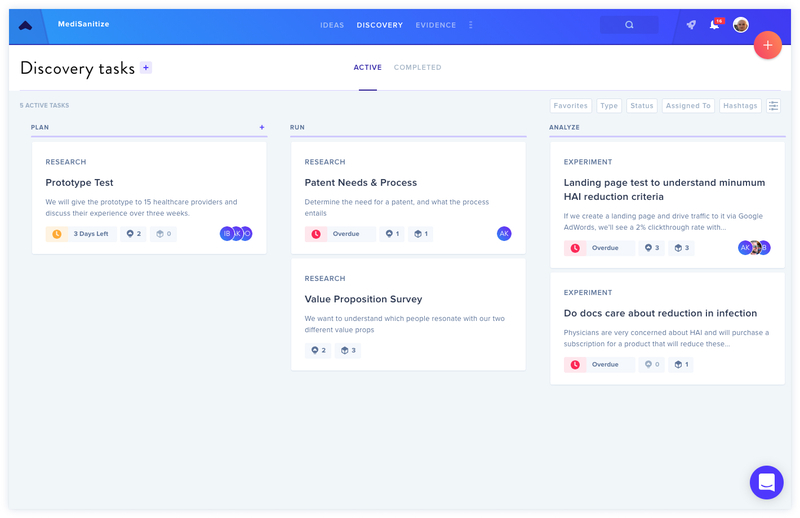 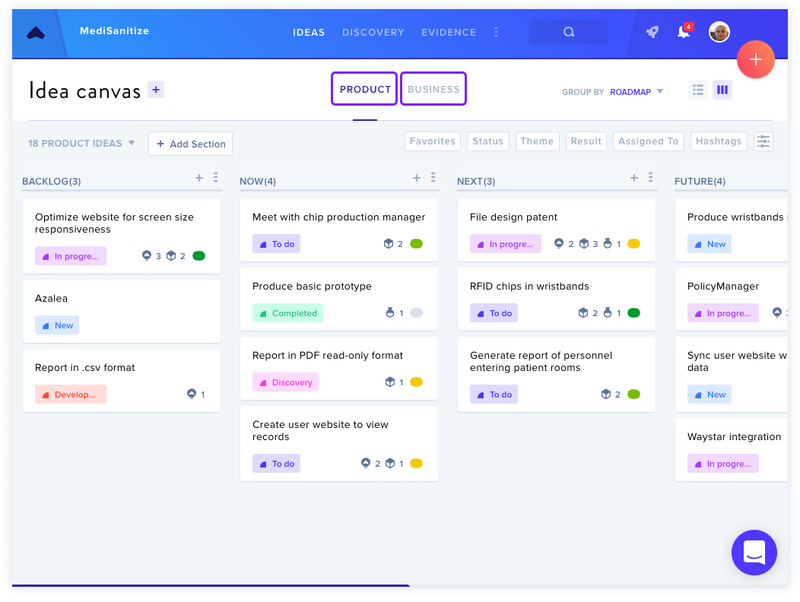 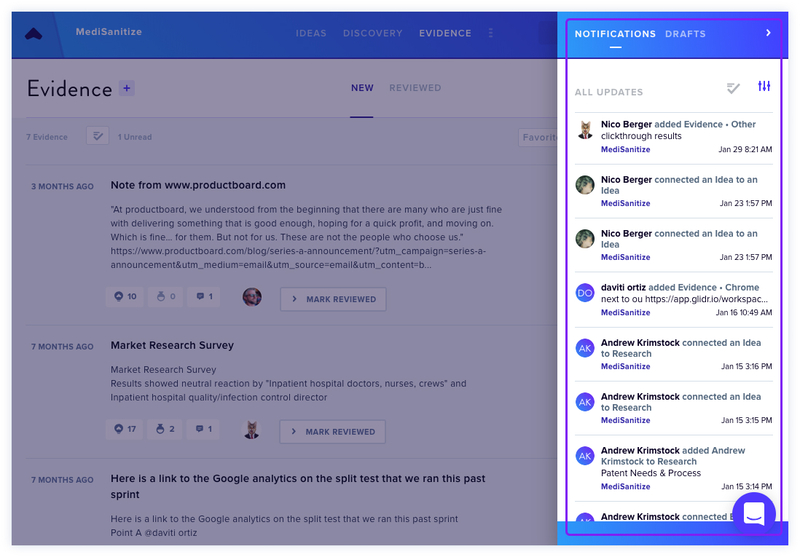 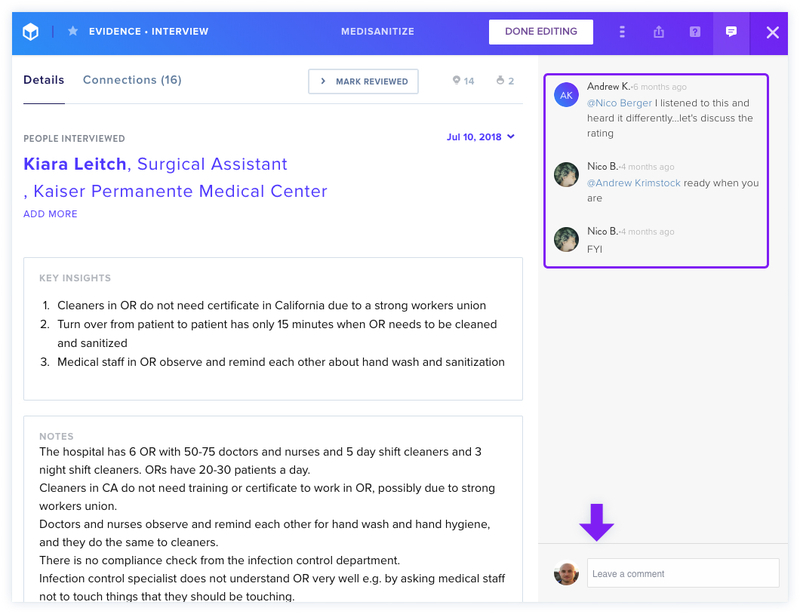 Grouping by Status allows you to view how your Ideas are progressing based on the categories you choose; allowing you to see all UX Ideas grouped together, for example.